If you are not the type of person that likes to spend the afternoon using a rake to pick all the leaves that have fallen onto your yard, Worx might have something you would be interested in. 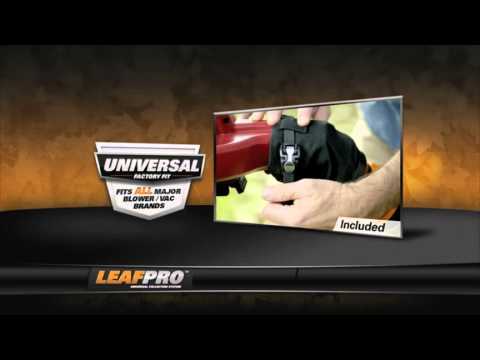 Their LeafPro is a new universal collection system that takes the leaves from a blower/mulcher/vac and deposits them directly into a trashcan. A blower/mulcher/vac normally does a good job of sucking up the leaves in your yard, but once its bag is full it has to be dumped. This can lead to multiple dumpings just to clear a small yard, which can be inconvenient. 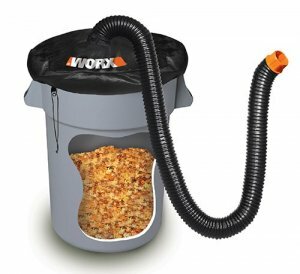 The Worx LeafPro uses an adapter, an 8-foot hose, and an elastic cover, to turn a trashcan into a larger external bag for your BMV. You don't have to worry about a mess because the leaves go from the ground to the trashcan. 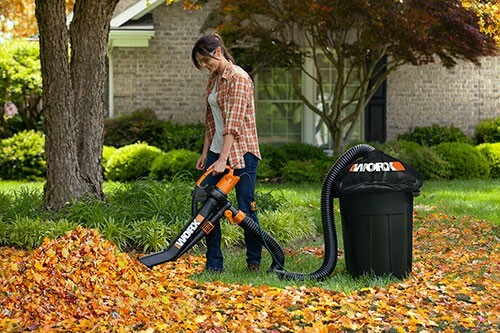 If you don't own a BMV, check out the Worx Trivac 3-in-1 Blower/Mulcher/Vac. It features a 2-stage mulching system that reduces leaves from 18-to-1.